Utopia Plastic Surgery and Medical Spa welcomes Brooke Gary as our newest Aesthetic Nurse to the office of Franklin A. Rose, MD. 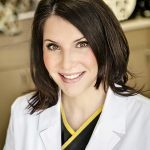 Utopia Plastic Surgery and Medical Spa welcomes Brooke Gary, as our newest Aesthetic Nurse to the office of Franklin A. Rose, MD. 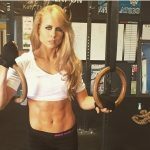 Originally from New Iberia, Louisiana, Brooke obtained her nursing degree before moving to Houston to further pursue her career in the field of Aesthetic Plastic Surgery four years ago. 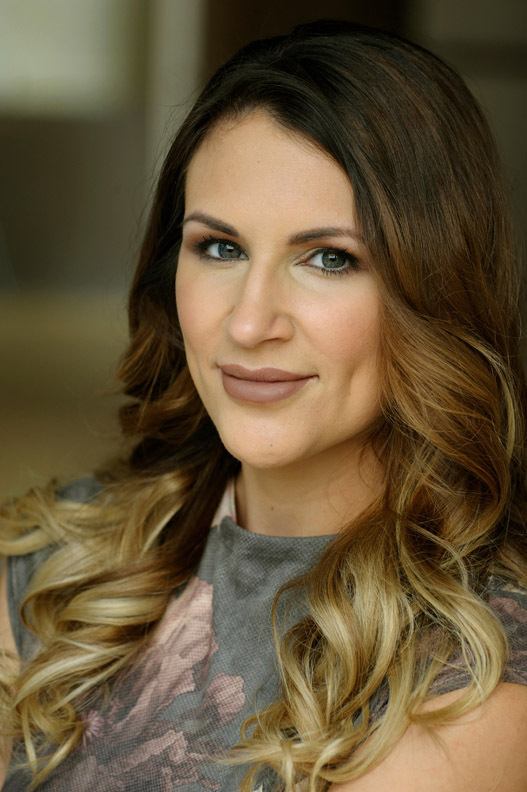 We are thrilled to have Brooke on staff, and she performs a wide range of treatments including injectables such as Restylane, Juvederm, Botox and more – along with laser treatments, skin care and other modalities and continues to improve her skills and master them daily. Brooke is quickly becoming known for the remarkable relationships she establishes with her patients and works closely with Dr. Franklin Rose to utilize the combination of plastic surgery with aesthetic treatments to help you look your best. 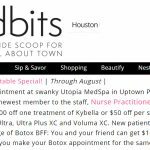 BUBBLES, BITES, & BOTOX – Friday, June 2! 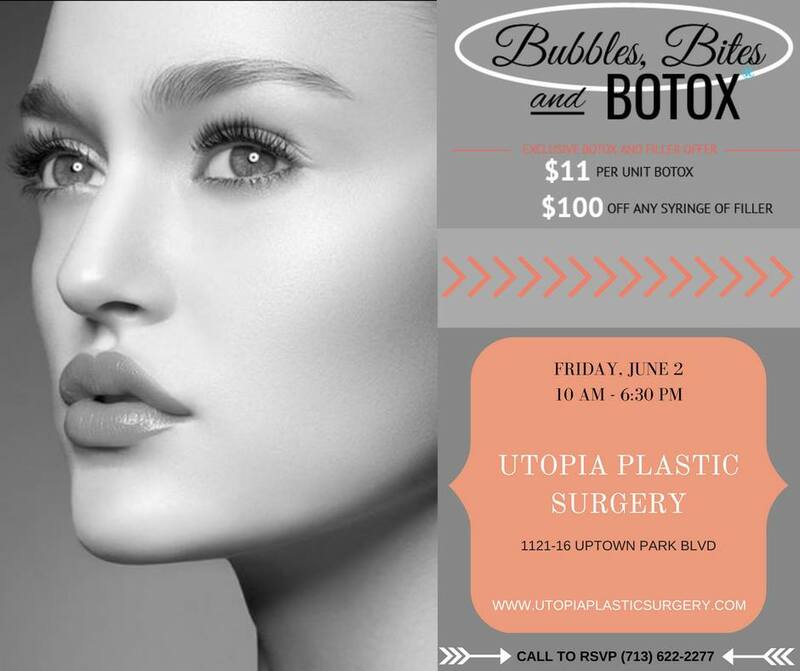 Come meet our fabulous Aesthetic Nurse Brooke Friday, June 2nd & take advantage of the following specials for one day only: Botox – $11 per unit, and take $100 off any syringe of filler. A door prize will be awarded to a lucky winner & light bites and bubbly sips will be served. Call ahead to reserve your spot, as they will fill quickly (713-622-2277).